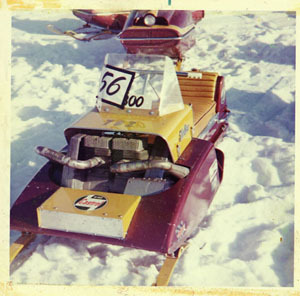 My 1969 SKI-BEE SCOUT STINGER. 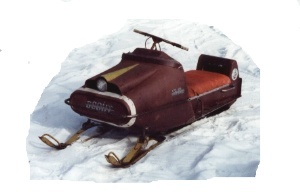 I sold this one to Germain Beausejour from Quebec.He did a great restoration job..
from 1946 to 1963 building rear engine sleds. 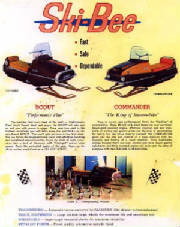 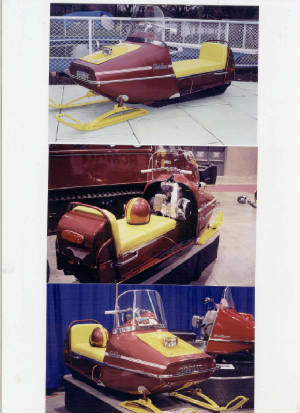 Ski-Bee 800 cc raceing sled. 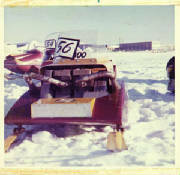 Got some great pictures from the races.